507 Beacon is located on the south side of Beacon, between Massachusetts Avenue and Charlesgate East, with 505 Beacon to the east and 509 Beacon to the west. 507 Beacon was designed by Carl Fehmer, architect, and built in 1887 by James Smith, mason, one of a symmetrical pair (507-509 Beacon). 507 Beacon was built for insurance broker Henry Rogers Dalton and his wife, Florence (Chapman) Dalton. 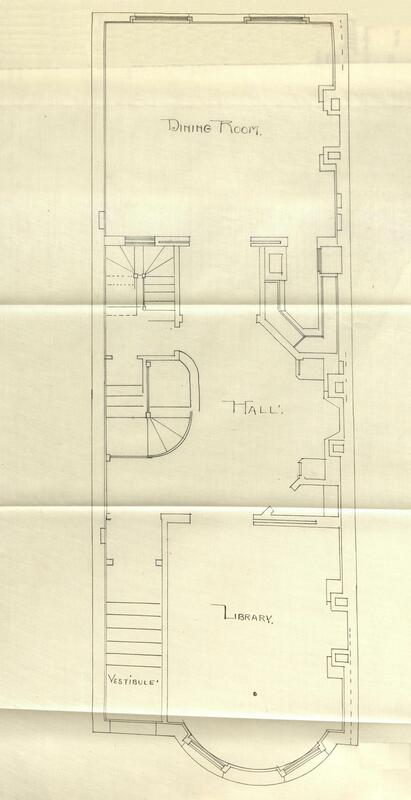 He is shown as the owner on the original building permit application, dated March 21, 1887, and on the final building inspection report dated November 15, 1887. Henry Dalton purchased the land for 507 Beacon on February 16, 1887, from Louis Curtis, part of a 75 foot wide lot Louis Curtis had acquired on November 24, 1885, from Lewis A. Dabney. Lewis Dabney had purchased the lot on October 31, 1885, from Henry M. Whitney. The land was part of a parcel originally purchased from the Boston Water Power Company on June 1, 1880, by a real estate investment trust formed by Francis A. Palfrey, Francis A. Osborn, and Grenville T. W. Braman. 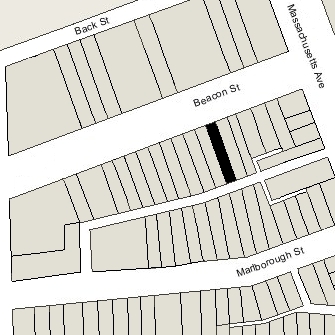 Click here for an index to the deeds for 507 Beacon, and click here for further information on the land west of Massachusetts Avenue between the south side of Beacon and the north side of Commonwealth. By the 1887-1888 winter season, Henry and Florence (Chapman) Dalton had made 507 Beacon their home. They previously had lived at 357 Beacon. 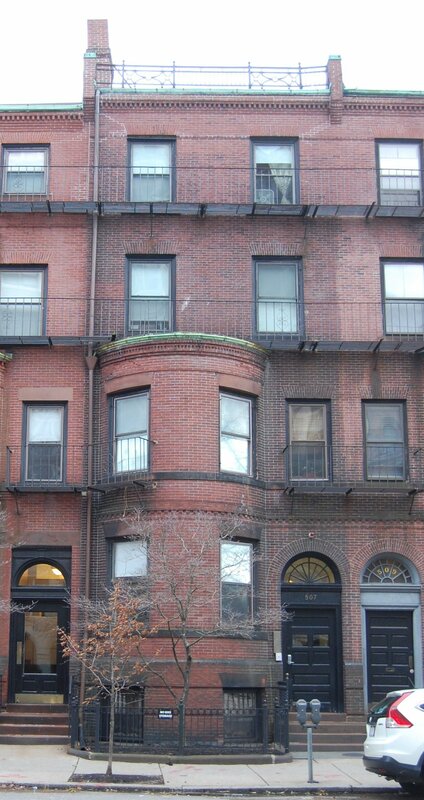 They continued to live at 507 Beacon during the 1905-1906 winter season, but moved thereafter and by the 1907-1908 winter season were living at 181 Beacon. On April 9, 1906, 507 Beacon was acquired by Thomas J. Emery, an attorney. By the 1906-1907 winter season, 507 Beacon was the Curtis-Peabody School for Girls, operated by Miss Elizabeth E. Curtis and Miss Lucy G. Peabody. The school previously had been located at 378 Commonwealth. Miss Curtis lived in Brighton; Miss Peabody lived in Roxbury and later with Miss Curtis in Brighton. They initially leased the house from Thomas J. Emery, and then acquired the property from him on July 30, 1909. The school continued to operate at 507 Beacon until about 1925. Thereafter, Miss Curtis and Miss Peabody converted the property into a lodging house. On November 23, 1928, 507 Beacon was purchased from Elizabeth Curtis and Lucy Peabody by Martin Joseph Connelly, an employee of the City Water Department, and his wife, Beesy (Bessy) A. (Harraghy) Connelly, who operated it as a lodging house. They previously had lived at 118 Pembroke. The Connellys continued to live at 507 Beacon and operate it as a lodging house until about 1942, but moved thereafter, possibly back to 118 Pembroke. They continued to own 507 Beacon and lease it to others. By 1945, 507 Beacon was the home of Wilfred R. Gotreau, a musician and music teacher, and his wife, Germaine (Turcotte) Gotreau, who operated it as a lodging house. They previously had lived at 437 Marlborough. 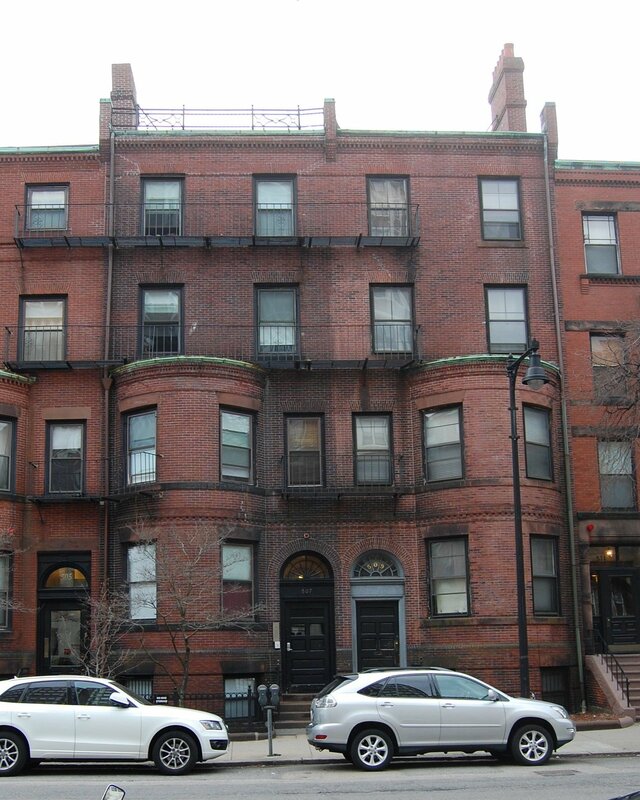 They continued to live at 507 Beacon until about 1953, when they moved to 12 Haviland. Martin Connelly had died in March of 1945, and in about 1954, Beesy Connelly moved back to 507 Beacon. She most recently had been living at 16 Dalrymple. Although she listed herself as “housekeeper” in the Lists of Residents for 507 Beacon, the lodging house inspection certificates issued in 1954 and later were in the name of Franklyn G. Bill and Sidney R. Handler. 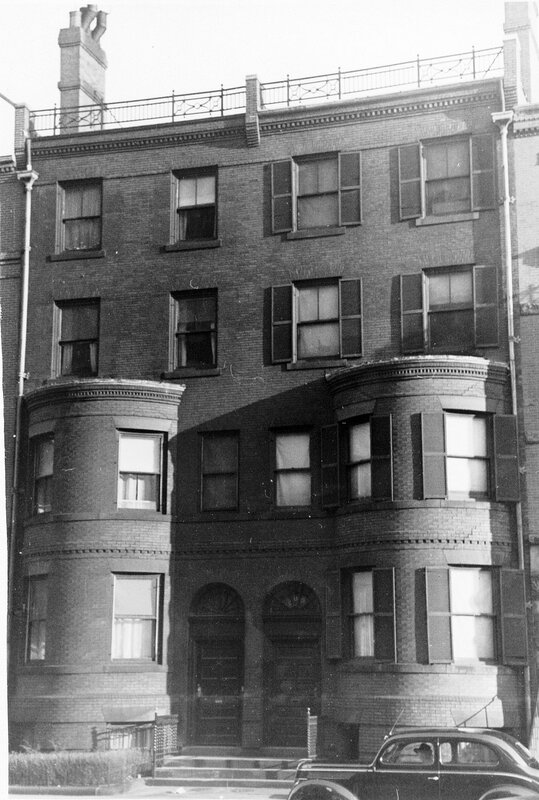 Beesy Connelly continued to live at 507 Beacon until her death in July of 1958. On July 10, 1961, 507 Beacon was acquired from the Connelly’s son, James I. Connelly, by Franklyn G. Bill and Sidney R. Handler as trustees of the C and S Realty Trust.. They continued to operate it as a lodging house. In September of 1965, Franklyn Bill and Sidney Handler acquired 505 Beacon, which they also operated as a lodging house. On September 24, 2008, Priscilla (Pittman) Bill (Franklyn Bill’s wife and successor as trustee) and Sidney Handler transferred 507 Beacon to the 507 Beacon LLC (Priscilla Bill and her brother, Baird Pittman, were the managers of record). They transferred 505 Beacon to a comparable LLC on the same day. 507 Beacon remained a lodging house in 2018.